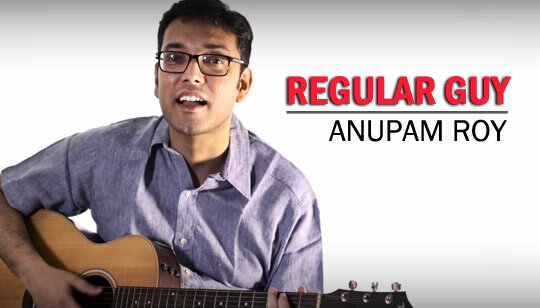 Regular Guy Lyrics by Anupam Roy : Concept, Writer And Compose by Anupam Roy. Strarring: Anupam Roy, Amyt Datta, Kaustav Biswas, Sandipan Parial, Nabarun Bose And Supporting Cast by Abhishu Rakshit, Puja Dey and Arjun Kar. Video Song directed by Somdeb Sengupta.